“We are seeking an urgent meeting with senior Moy Park Executive Directors following the announcement that JBS, the world’s largest meat packer, which is buying the company for more than one billion pounds from Marfrig as part of its plans to expand into the European market. “Unite will be seeking assurances as to the future job security for Moy Park’s employees. We will also be demanding a ‘loyalty bonus payment’ for workers during the transfer process. “It’s essential that the transfer results in benefits for the workers, whose labour has built this billion pound business and needs to reflect the fact that its operations in Northern Ireland are among its most profitable in Europe. 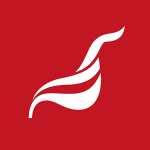 “Unite recently suspended a strike action after management reversed their previous refusal to engage in meaningful pay talks; negotiations are now ongoing and we hope that this transfer will not prevent these from addressing our concerns in relation to low-pay and long working hours”, Mr McKeever concluded. This entry was posted in Campaign for Decent Pay, Northern Ireland news, Press Releases, Sectors and tagged ballymena, Cookstown, Dungannon, JBS, low pay, Marfrig, Moy Park, NI, Sean McKeever, transfer, Unite NI. Bookmark the permalink.